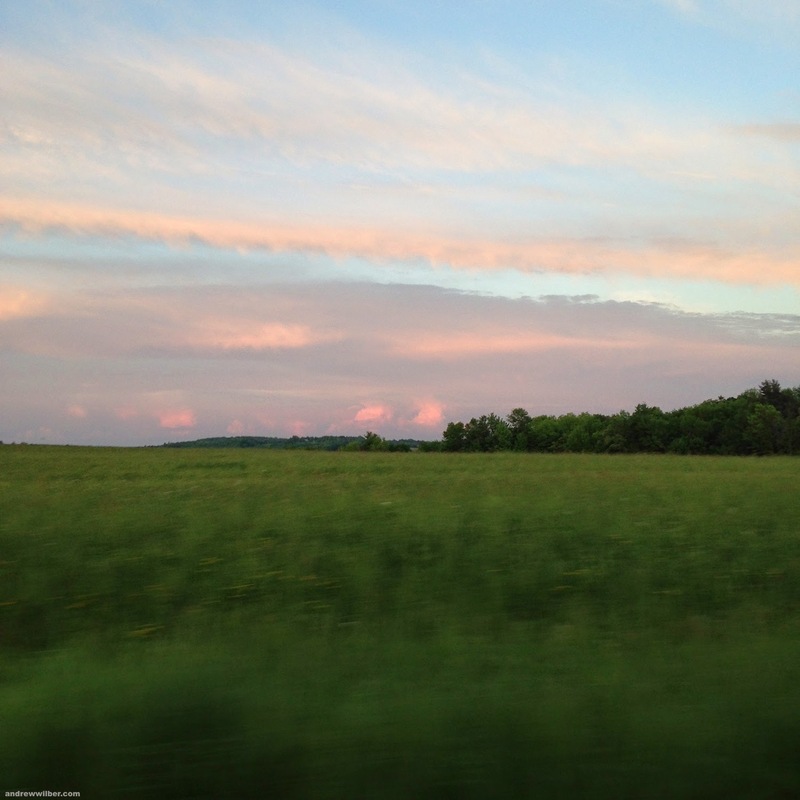 This evening I found myself heading home from New York at sunset while driving at the speed limit. I would never normally be in such a ridiculous situation because, one, it's so close to the solstice that I am usually home (and likely in bed!) by the time the sun sets, and second, I usually drive so fast along the ridge road that winds up from the state line that I'd never have noticed the sunset, were it even there to be noticed. Two things, however, conspired to make it happen. First, I had a meeting with someone from the Southern Tier Pregnancy Resource Center––only because I'm producing a video for them, naturally––and this made me late. Second, it is running season, which means the possibility of face-to-face meetings with some of my more far-flung neighbors; so while I'm quite content to have them up in arms over the autobahn-esque manner in which I blow by their houses most of the year, these few months necessitate a more diplomatic rate of travel. I rolled down my window, picked up my phone and snapped the above image. I figured the entire thing might well be just a blur––despite my seasonally reformed driving. When I reviewed it, part of it was indeed blurred, but as you can see, only the close bit. The foreground, as it were. The farther and farther out you go, the less blurry it gets. The grass further out the field is more discernibly grass. The trees at the horizon line are relatively sharp. The hills beyond are better, and infinity is perfectly in focus. And then I thought, that's just like life, isn't it?